Increases in early learning funding will only yield successful outcomes for young children if there is an ample supply of high-quality providers. While financial management and sustainability is a critical piece to operating any child care center, even high-quality providers’ struggle and experience financial hardship. Stringent regulation, diverse operators, diffuse accountability systems, and numerous funding streams make success in the industry challenging. Public Health Management Corporation (PHMC), Reinvestment Fund, and CoMetrics partnered to develop the Fiscal Hub in 2017 with the goal of understanding providers’ operating conditions, developing tools and resources to improve the financial stability of providers, and informing how the sector can advance the fiscal health of providers across the city. 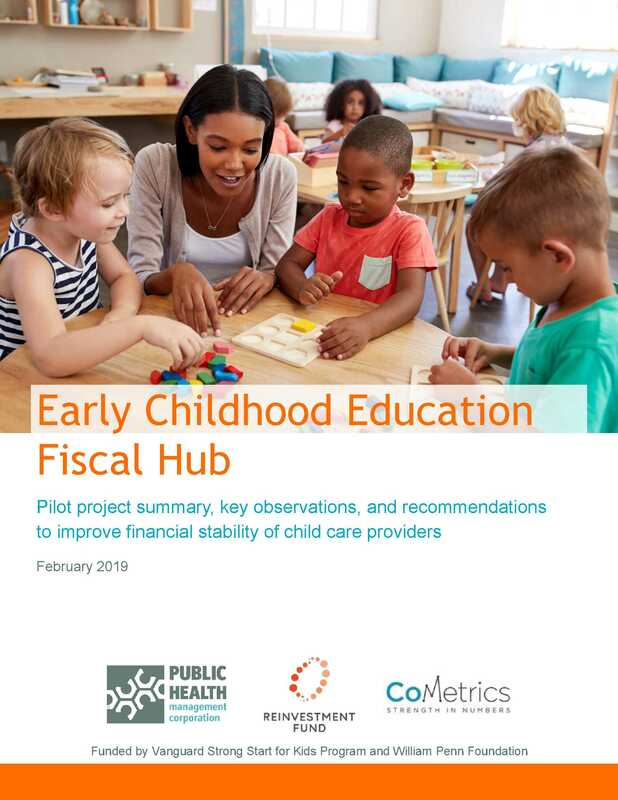 This report includes a pilot project summary, key observations, and recommendations to improve financial stability of child care providers. Contact FiscalHub@phmc.org for more information.